One of the threads of peace that has woven through my experience of motherhood is memory. It weaves in both directions : the mindfulness of making memories, and the heartfulness of preserving of them. Lesley Austin at Small Meadow Press has long inspired my record keeping (and my homeschooling, and my homemaking, and more) with her papers, notebooks, thoughtful words, and lovely spirit. 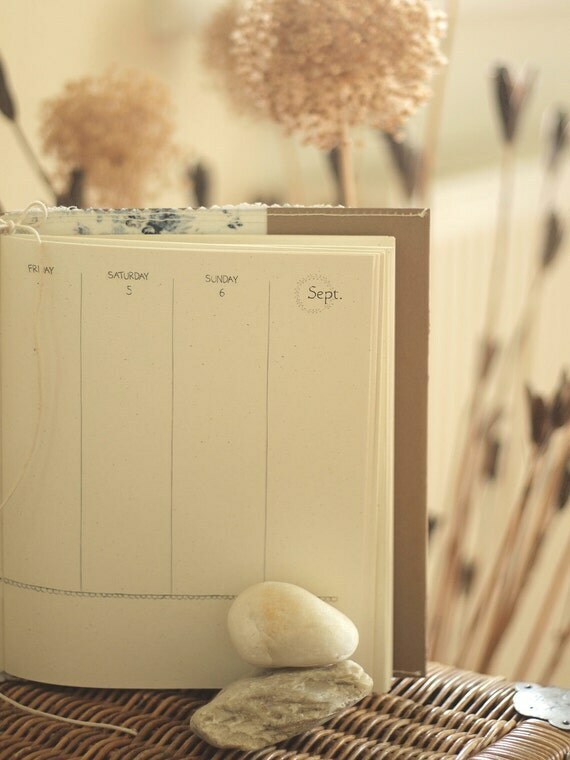 Now she has created a daybook so lovely, even the pictures of it make me feel peaceful and charmed. It's no surprise; Lesley has such a heart for beauty, everything she makes is like gentle grace and comfort for the world. 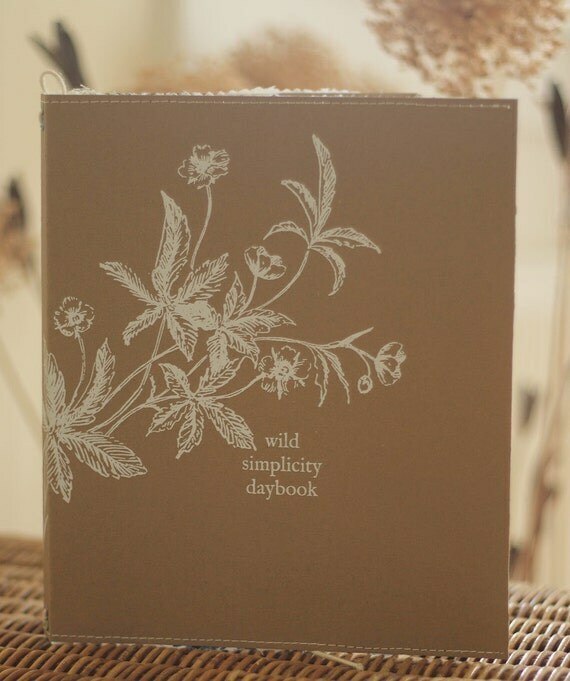 The Wild Simplicity Daybook is now available in Lesley's etsy store, along with a whole lot of delicious little books to tuck within its lovely, sturdy cover. 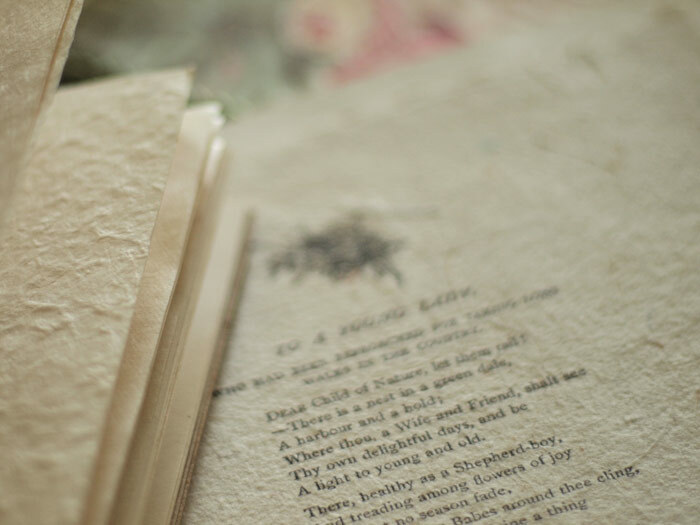 The idea of pockets and little books captures my heart thoroughly, but to have in addition the lush, eco-friendly paper, the beautiful vintage illustrations, and most of all Lesley's authentically gentle energy imbued in the pages, I feel offers something unique and so very womanly. I was lucky enough to be part of the community of women from which Lesley drew information and inspiration in the making of this daybook, so I know how much thought and care she put into creating something women would truly love to use. I'm writing this post for two reasons. Firstly, I consider Lesley a friend, although we've never met in person, and it's always a joy to be able to celebrate one's friends. Secondly, I admire her ethics and her efforts to create a kind-hearted business model. If you want to know more of what Small Meadow Press has available, visit the shop, or Lesley's journal, or her private online haven at Wisteria & Sunshine. All photos in this post are taken from Lesley Austin's website. Please don't copy or pin them from here but go to her sites directly. Thanks. 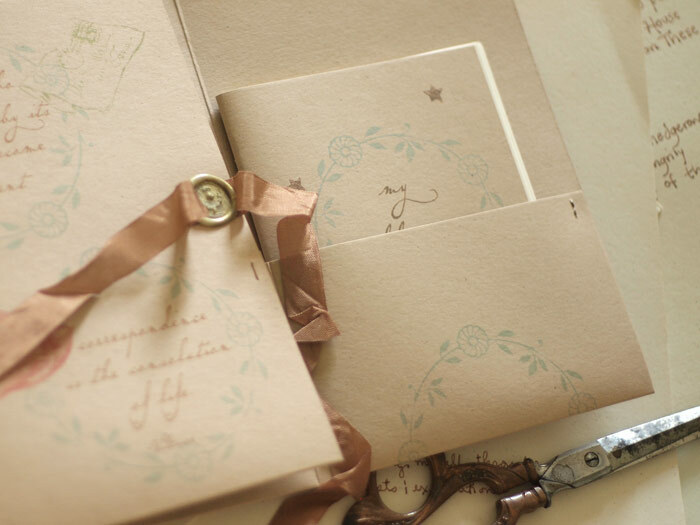 These books look delightful put together with such loving care and thoughtfulness. They are truly inspiring and put my own daily journal (which just has a black leather cover) to shame. I really must put more thought into it so that when I look back over the year I will find all kinds of things that remind me of what has been. Thanks for sharing this Sarah. how beautiful! i love "modular" day books, in which one can place mementos, fabric samples, journal entries or artwork cheek by jowl with the calendar of daily things. 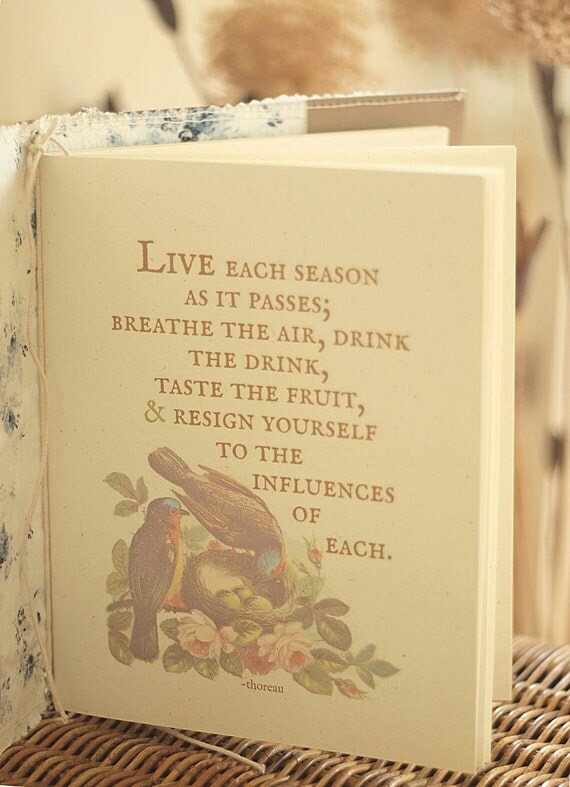 i used to have one with different sections for each season, among other things. would love one of these. just looking at this is inspiring. 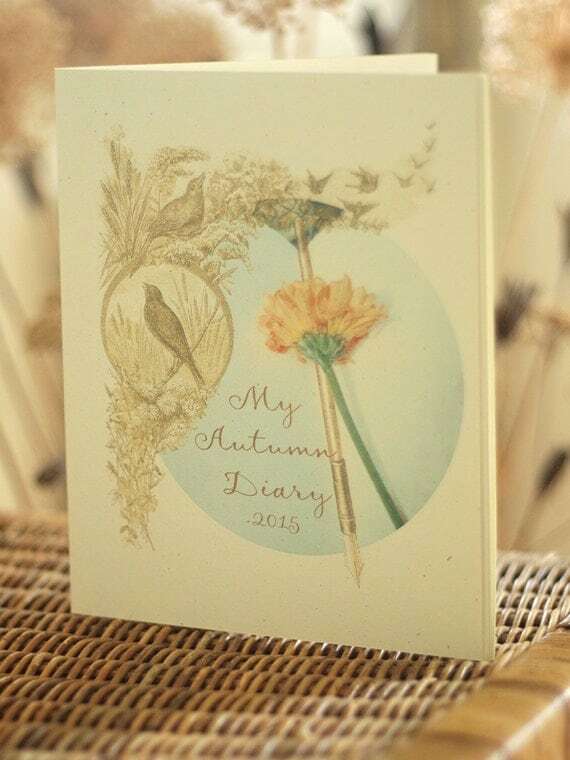 Oh my, what a lovely and oh-so-charming daybook! Thank you, sweet friend, for telling us about Leslie. I am headed over to her Etsy shop now.... Hugs and blessings to you!